About 13 times a century Mercury passes between us and the Sun. I remember the last time it happened. 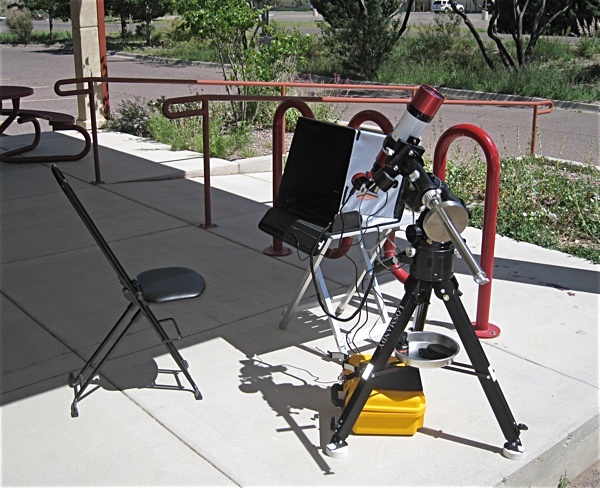 The astronomy folks had telescopes set up at the New Mexico Tech campus. Now it was my turn. Myself and another enthusiast got our scopes running in the parking lot of the Etscorn Observatory by about 6AM and watched the clouds on the horizon grow right along the path of the rising Sun. 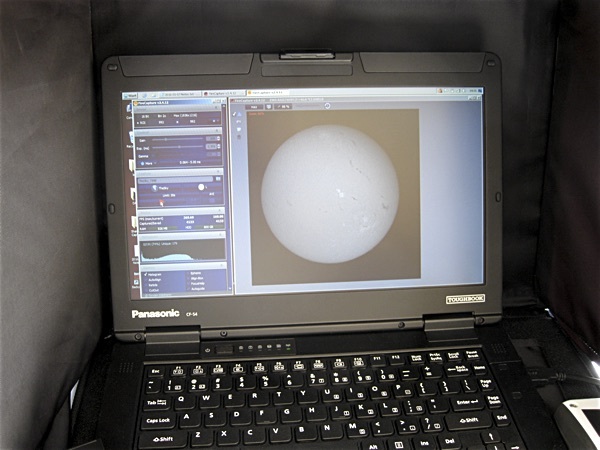 About an hour after sunrise the Sun won the race with the clouds and we were able to start observing. The weekend prior to the event I set up everything I was planning to use and did some practicing with the software program FireCapture. I planned on just using the ZWO ASI174MM camera for recording. This is the kind of thing it was bought for. This was the computer I used. I had it set to record for one minute. I started the recording every five or ten minutes. Each session recorded over 6000 frames. OK. It's now November 2016. I collected a crapload of data that I STILL don't know how to process. It was a busy summer. I WILL learn how to turn the data into beautiful pictures someday. I've collected many many more gigabytes since May. Those data are in the same boat. I'm right on the edge of starting to deal with multiple exposures from my Canon DSLR and "stacking" to make better pictures. When I figure that out processing the gobs of solar data may start to make more sense, even though it's like a whole other process.